These water level control structure permit precise adjustment and level control of ponds and lakes. 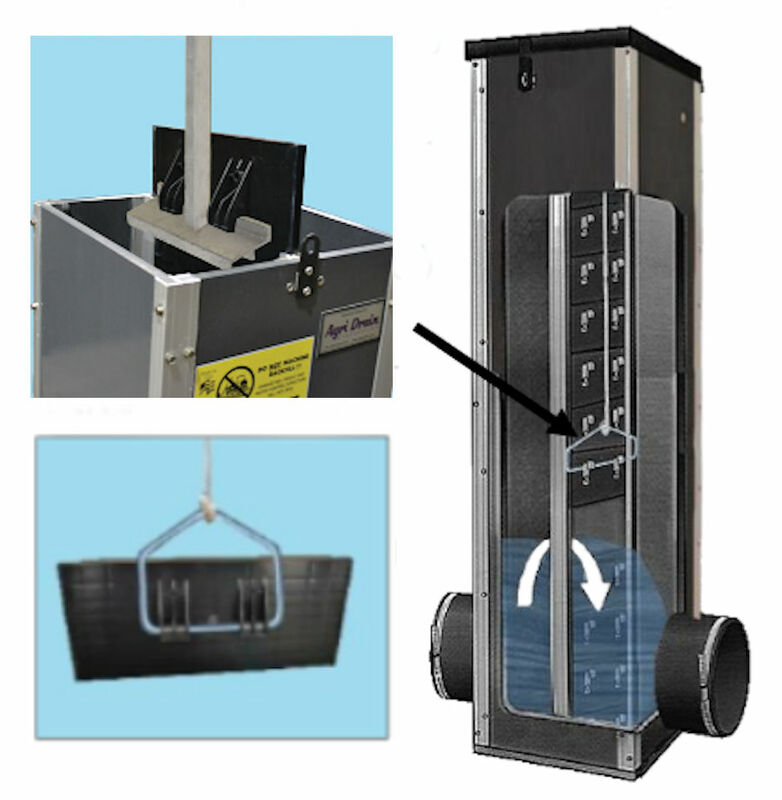 A series of stoplogs inside the heavy-duty PVC structure can be raised and lowered or removed to set the pond level or to drain the pond quickly from the berm or the dam where the control structure is embedded. Includes handle to install and remove the stoplogs, stainless steel clamps with rubber pipe connrectors on both inlet and outlet, lubrication grease for stoplog seals and lockable lid. Price Includes Free Shipping In USA. 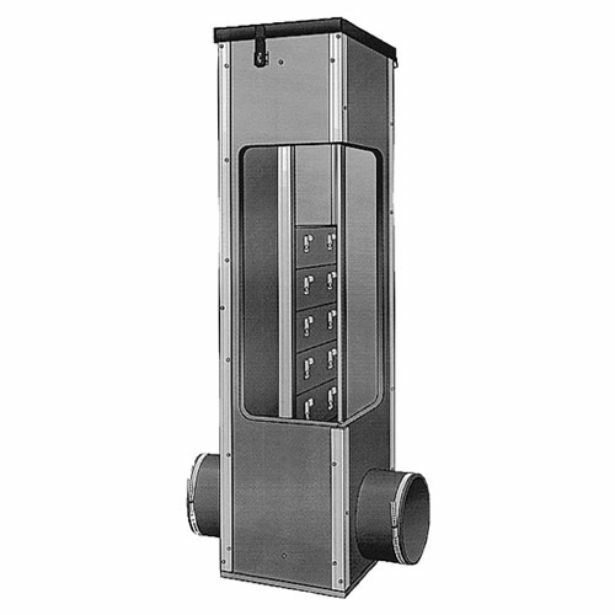 The Water Level Control Structures are constructed of rugged 1/2"-thick PVC sheets, connected at the corners by means of specially extruded anodized aluminum profiles sealed with waterproof caulking and secured with stainless steel screws. The bottom of the structure is sealed with either a 1/2"- or 1"-thick PVC sheet (dependent upon structure size) and also utilizes waterproof caulking for sealant and stainless steel screws to hold it in place. Constructed of rugged 1/2" PVC with lockable plastic lid. Stainless steel screws and custom anodized aluminum corner extrusions used for strength and durability. Structures are intended for gravity flow: Low pressure and some seepage may occur. 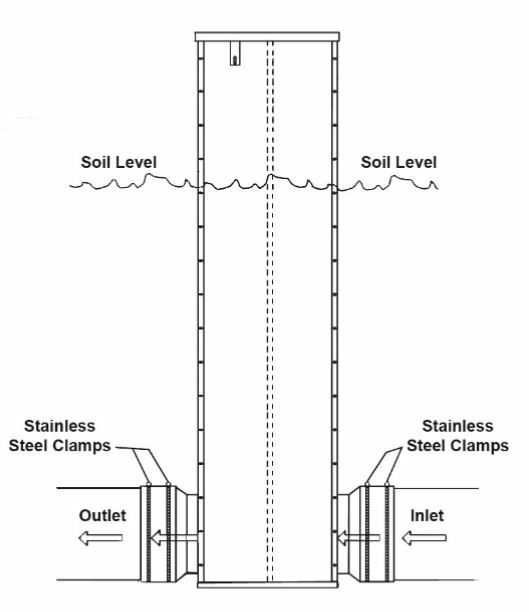 Structure base, inlet pipe, & outlet pipe must be set on compacted soil or fill sand to provide a solid, stable base. 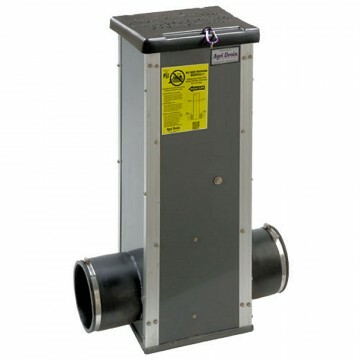 This will prevent settling and reduce stress or misalignment of pipe connections. Remove stainless steel clamps from inside structure. Place pipe inside flex couplers and tighten SS clamps. Level structure vertically before placing backfill. Backfill around control structure by hand in 6" lifts. Hand tamp only do not mechanically compact. Do not use a backhoe or blade to place backfill directly against the water control structure.